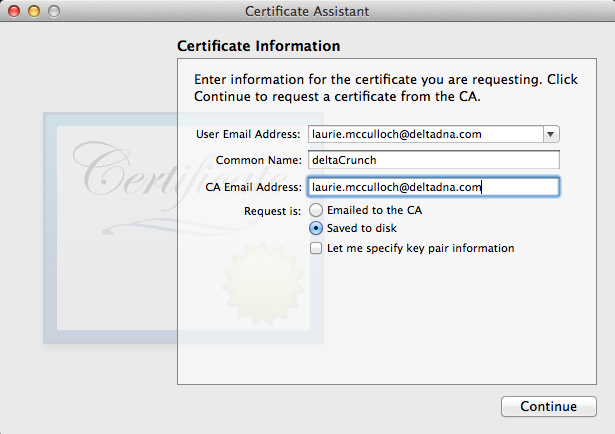 Create a Certificate that the deltaDNA server will use to sign its communications with the Apple when sending messages. 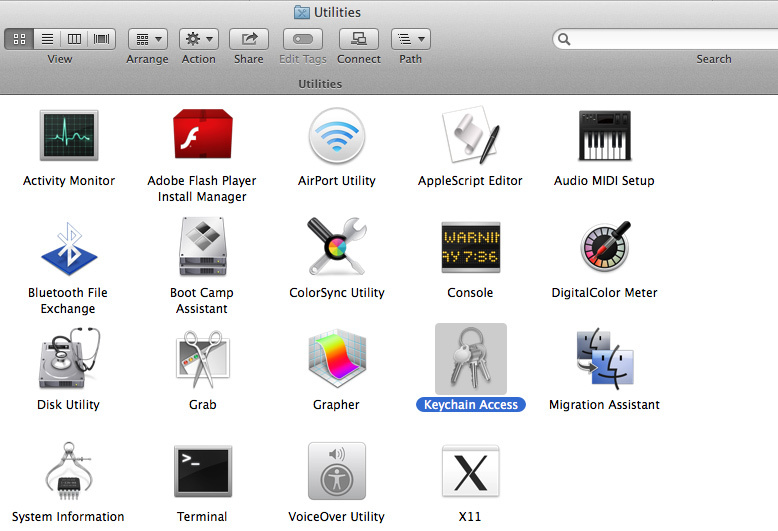 Navigate to Applications >> Utilities on your MAC and open the Keychain Access tool. 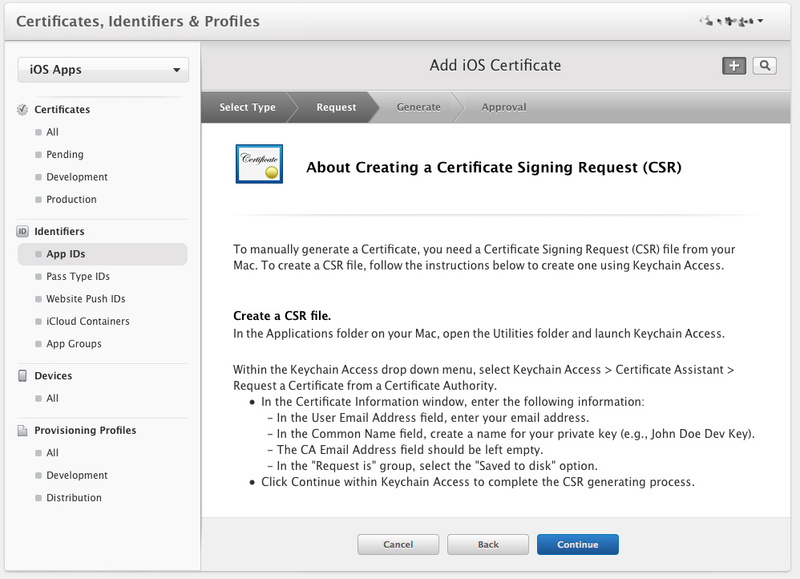 Now choose the Request a Certificate from a Certificate Authority from the Certificate Assistant menu. 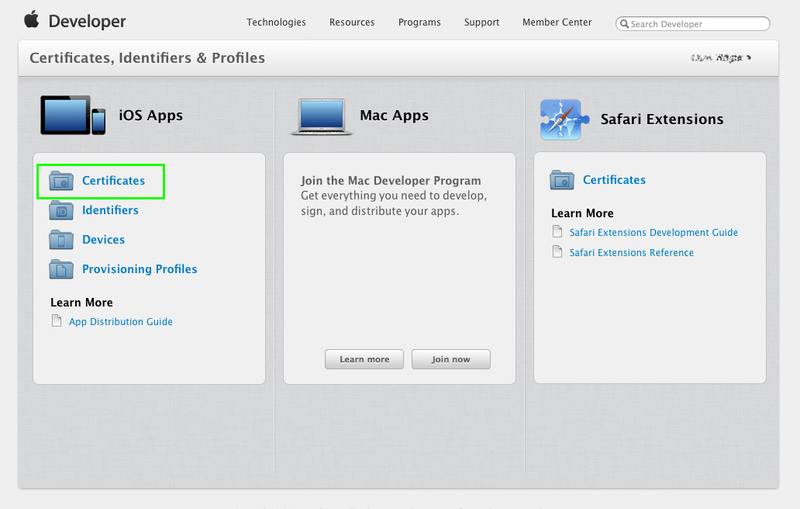 You should now see the Certificate Assistant window. 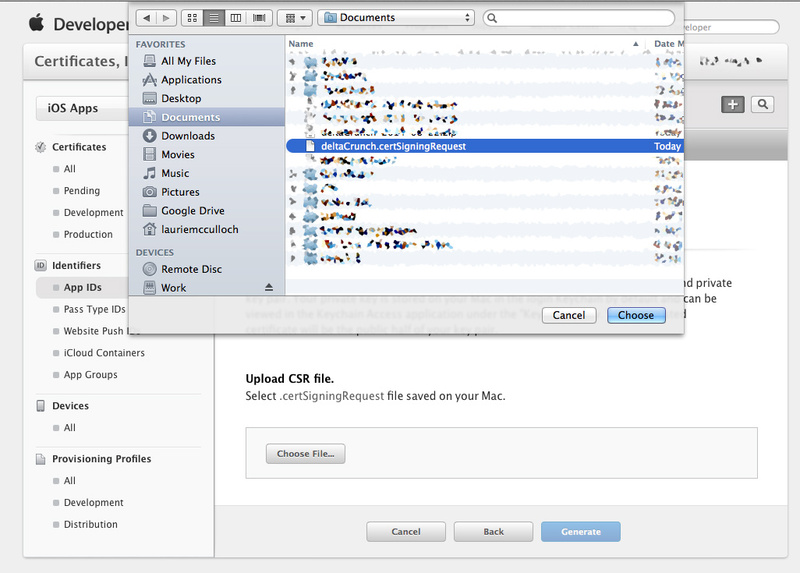 Populate the details, choose the Save to disk option and press Continue. 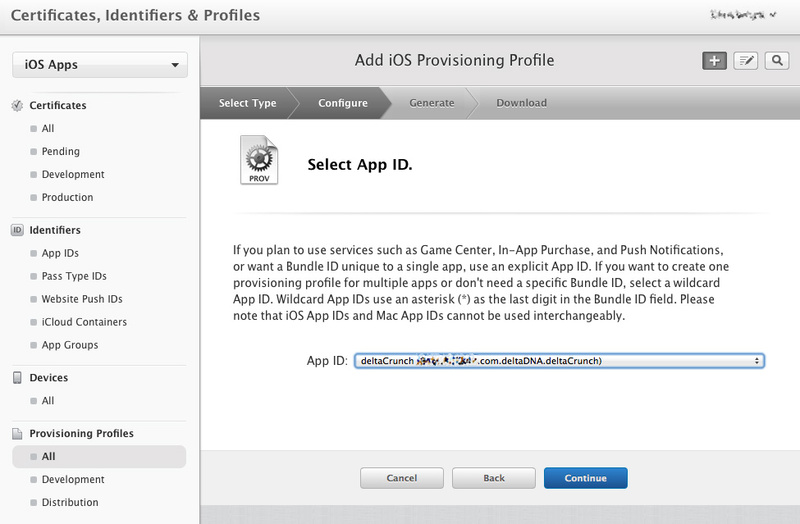 Creating an App ID and SSL Certificate. 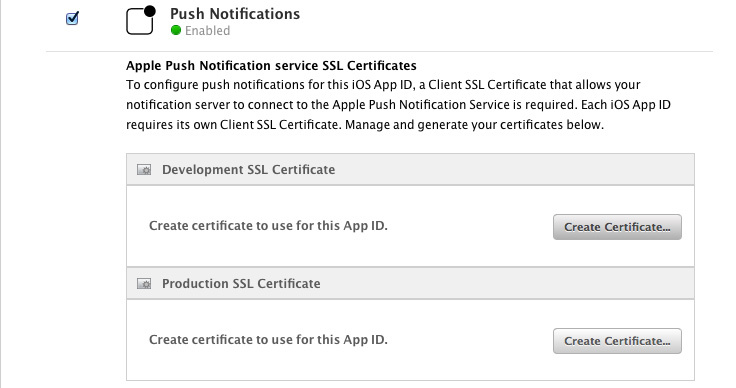 You now need to visit the Apple Developer Website and create an App ID and SSL Certificate for your App. 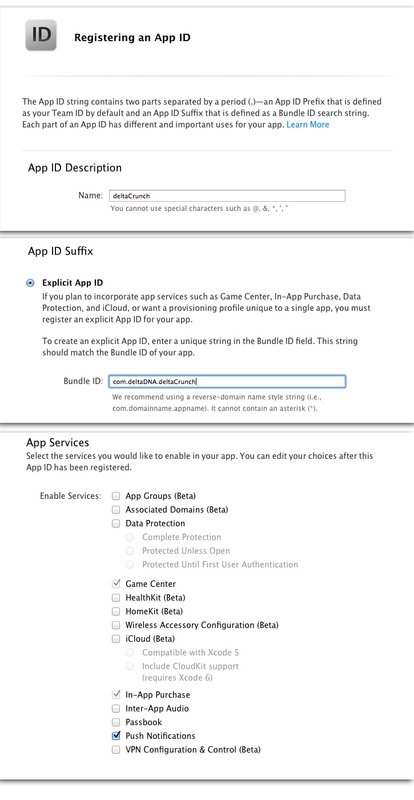 Finally, review your settings and press Submit to create your App ID. 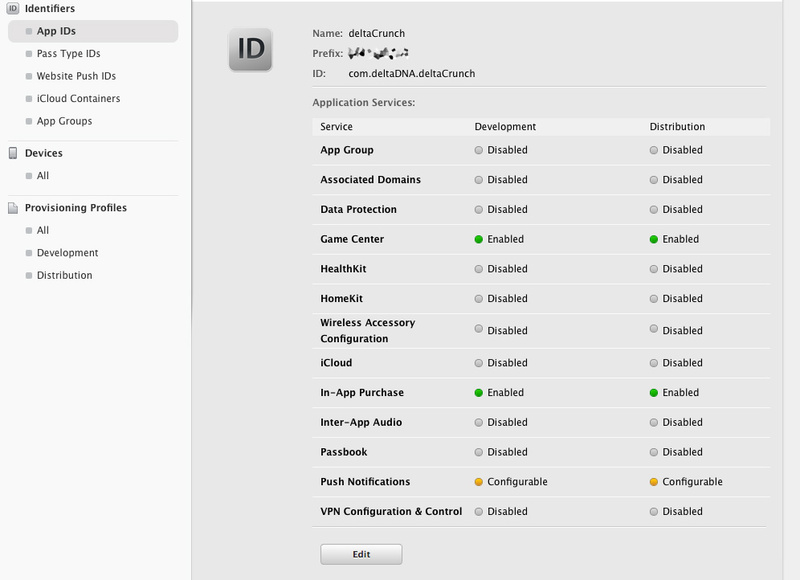 When you view the App ID details you will see that the Push Notification lamps are orange indicating that they still need to be configured. 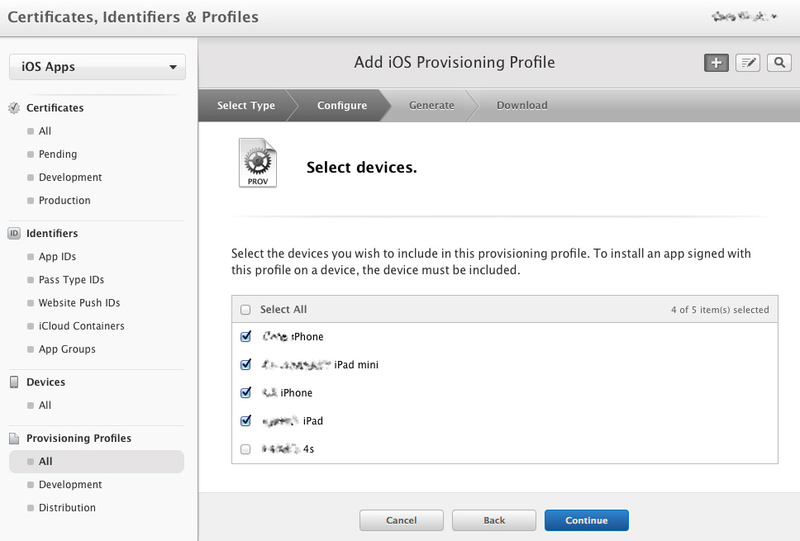 Click the Edit button to go to the configuration page and scroll down until you get to the Push Notifications section. 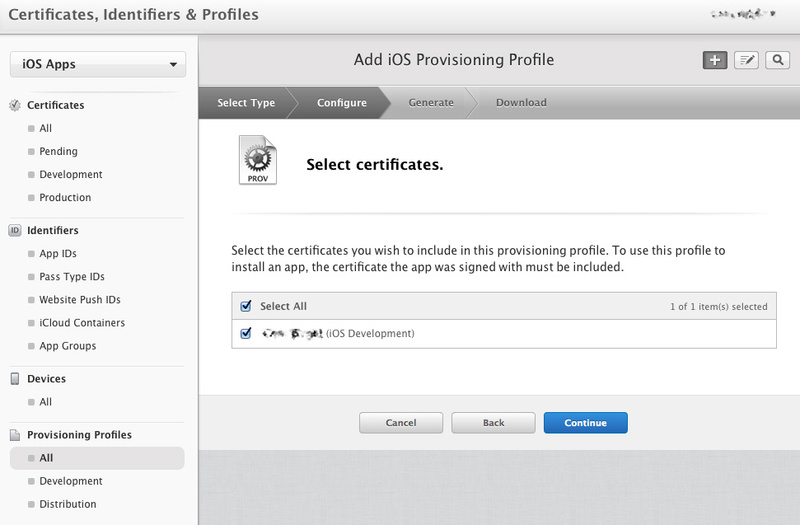 Ultimately you will need to create separate certificates for Development and Production, for now we will create a Development certificate. 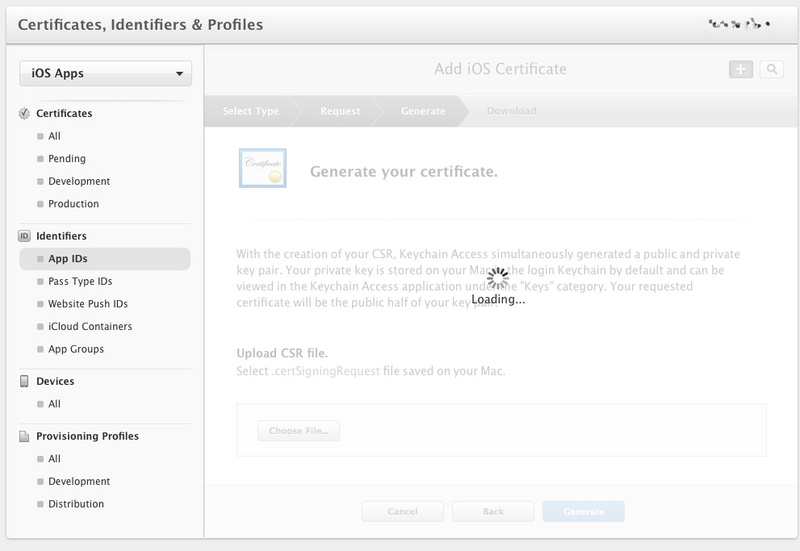 Click the Create Certificate button in the Development Certificate section to open the Add iOS Certificate wizard. 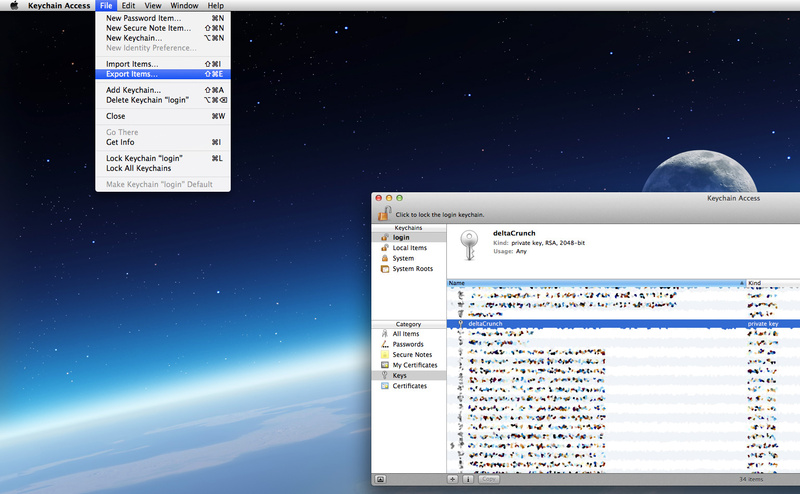 Now you can upload your SSL certificate and Private Key to deltaDNA. 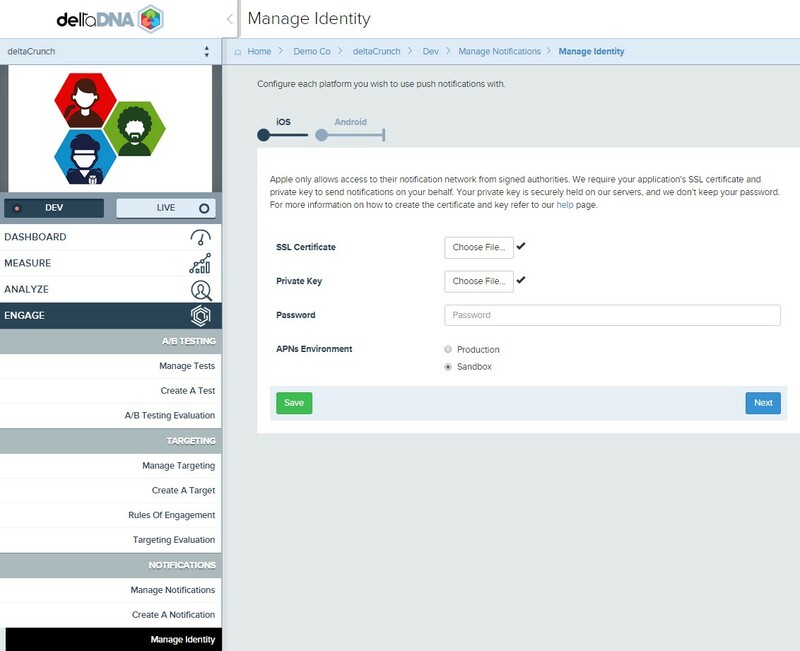 Login to deltaDNA, and go to the Targeting section of you DEV app then select the Manage Identities page. 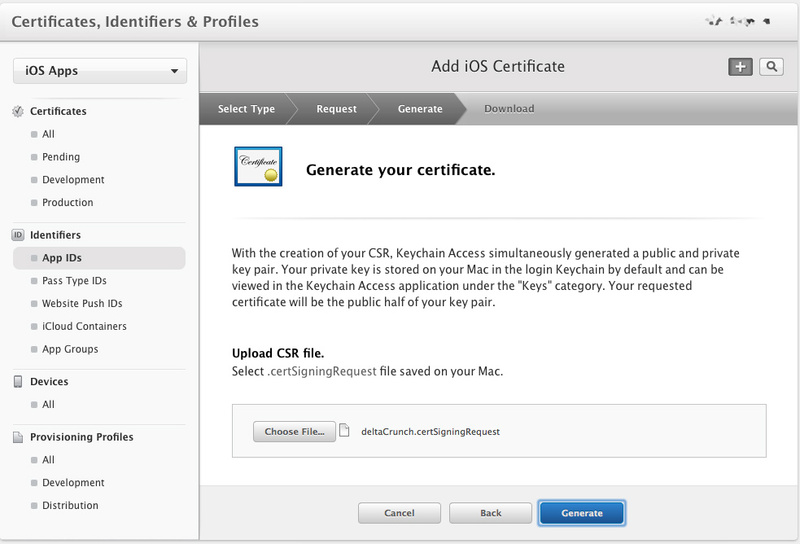 Select the SSL Certificate File and the Private Key File, enter your password and select the correct APN Environment for your and click the Save button. 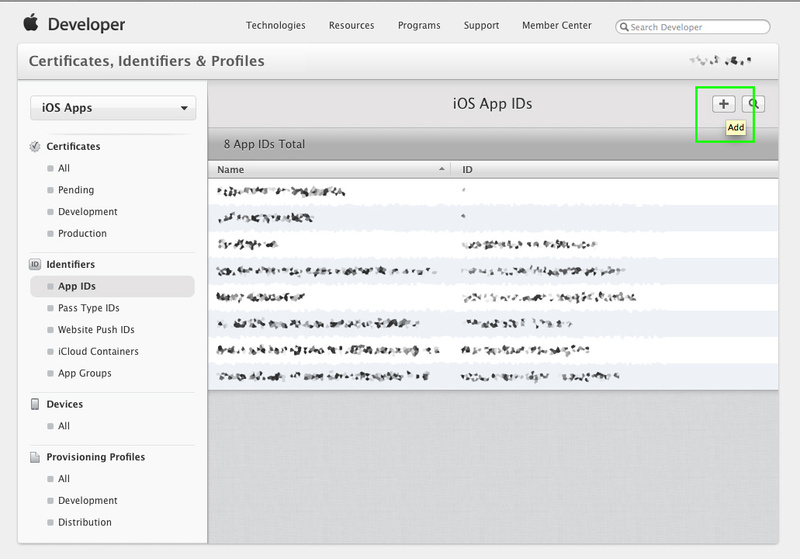 You receive a warning if you get the password wrong. 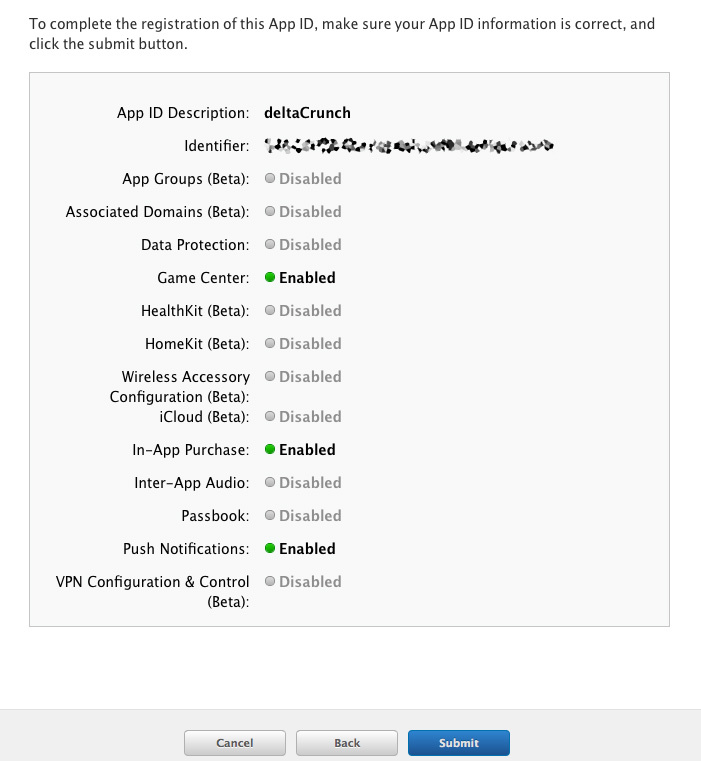 Create and schedule push notification messages on the deltaDNA platform. 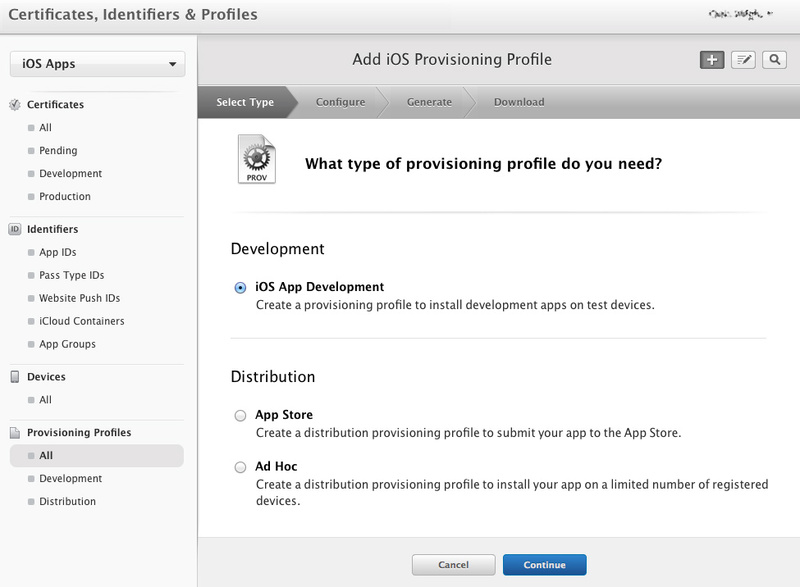 Go back to the Apple Developer site and navigate to the Provisioning Profiles page on the Certificates, Identifiers & Profiles page and press the Add button to start creating a new provisioning profile for your App. 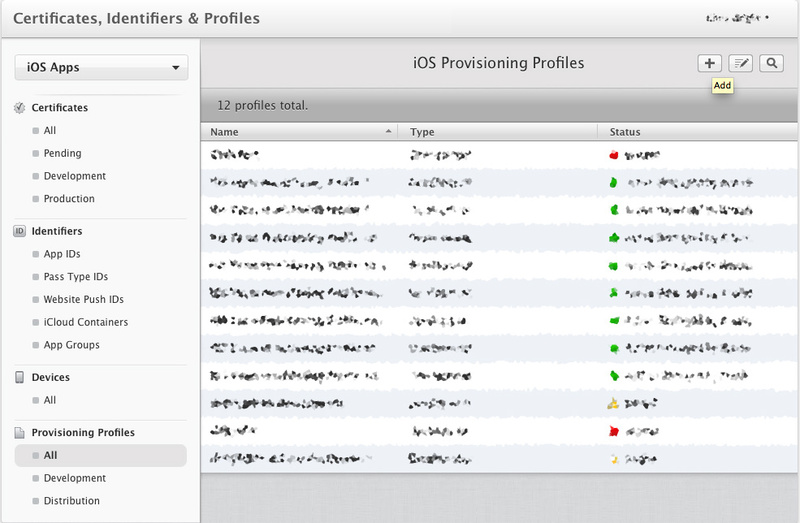 Finally, give your provisioning profile a name, press the Generate button to create your profile, then Download it and add it to Xcode either by double clicking it or dragging it on to the Xcode icon.